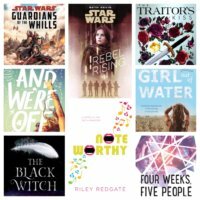 Book Beat quick takes on Star Wars! Supervillain! A Thousand Beginnings and Endings! 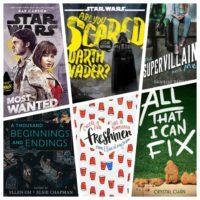 Book Beat quick takes on Leia, Princess of Alderaan and YA versions of Scream and Pacific Rim! 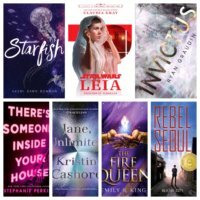 Book Beat on two Star Wars books & two Mulan-inspired books and more! This Book Beat includes a pair of pairs. I review a couple of Star Wars books which give more background on Rogue One’s most intriguing characters. 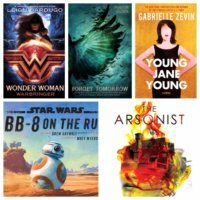 I also have quick takes on two books pitched as “Mulan meets X” and we still have Renee Ahdieh’s wonderful Mulan-inspired Flame in the Mist on the way! NYCC Recap: Book signings! Sam Sykes! 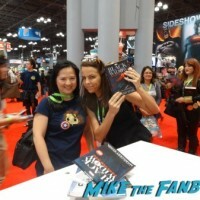 Black Widow’s Margaret Stohl! Star Wars’ Alexandra Bracken! Con Game! Updates on the big NYC cons! D23 Expo hosts a Broadway concert! SDCC Exclusives! Two New G.I. 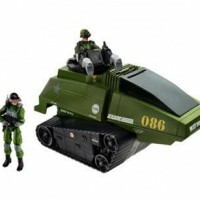 Joe Sets Have Been Revealed For San Diego Comic Con! mike April 17, 2015 Conventions, Toys! Toys! Toys! mike April 14, 2015 Conventions, Toys! Toys! Toys! Star Wars Sneak Peak! J.J. Abrams Releases A New Video Of The Millennium Falcon With A Hidden Surprise! Boba Fett? Boba Fett! Where? 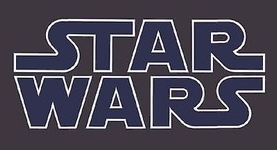 Some New Scoop On The New Stand Alone Star Wars Film!